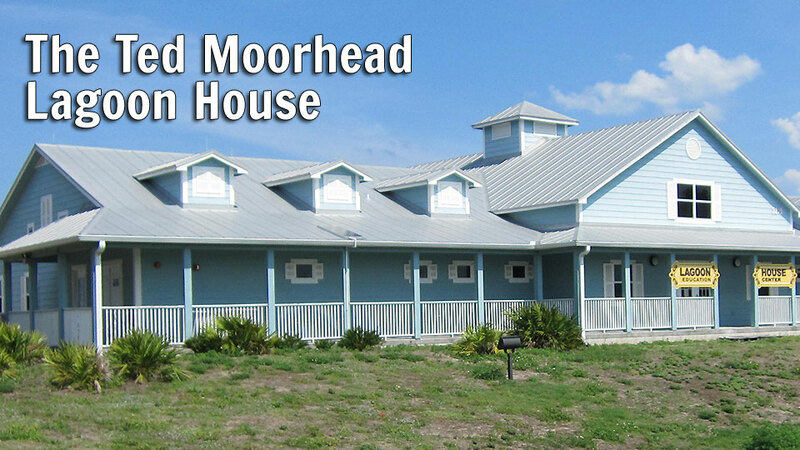 Owned by the City of Palm Bay and run by the Marine Resources Council, the Lagoon House serves as the welcome center for the Indian River Lagoon National Scenic Byway. It’s an exceptional venue for school field trips, workshops, meetings, and exploration as it houses several educational exhibits including a north Atlantic right whale display, a lagoon-species tank, a movie on the history of the lagoon, a 25-foot map of the entire lagoon, and a small library and gift shop. Enjoy a stroll along the lagoon on our 100-foot boardwalk, where you can view dolphins, birds, manatees and other wildlife. On the south side of the Lagoon House, meander your way down a nature trail to the shore, where you can see one of our mangrove restoration projects in action. The idea for the Lagoon House began in 1998 when Ted Moorhead became aware of plans for a retention pond at Ais Point Lookout. He believed that the site on the bluff overlooking the lagoon was an ideal location for an environmental learning center. His wife, Ann, proposed the name “Lagoon House” and Palm Bay grant writer, Dave White, suggested that the National Scenic Byway program could potentially be a source of funding. In Spring 1999, MRC sponsored and led a Scenic Highway corridor advocacy group which successfully lobbied the Florida Department of Transportation to create the Indian River Lagoon Scenic Highway on June 13, 2000. It was later afforded the status of a National Scenic Byway. Construction was made possible by grants of $100,000 from the Florida Inland Navigation District, $800,000 from the National Scenic Byways Program, and $100,000 from the Florida Department of Transportation. The South Brevard Historical Society loaned many of the historical items initially displayed in Lagoon House exhibits. Shortly after construction was completed in 2004, the original Lagoon House rip-rap shoreline was swept away by three hurricanes in 2 months. The shoreline was reconstructed with vegetation to stabilize it and it has held fast ever since! On April 2, 2005, with the newly planted shoreline in place, the Lagoon House opened to the public, with exhibits offering insights into the natural history of the Indian River Lagoon and promoting its preservation for future generations. The grand opening was made possible by a dedicated team of private and public contributors and a generous donation from Jan Smith and the T.R. and Dorothy Tomlinson estate, who were the original land owners. Click Here for more information on renting our event space.